Today the network of land councils in New South Wales is the largest Aboriginal representative body in the country with more than a billion dollars in land assets, a near billion-dollar investment fund, and more than 115 local Aboriginal land councils – but it wasn’t always so. 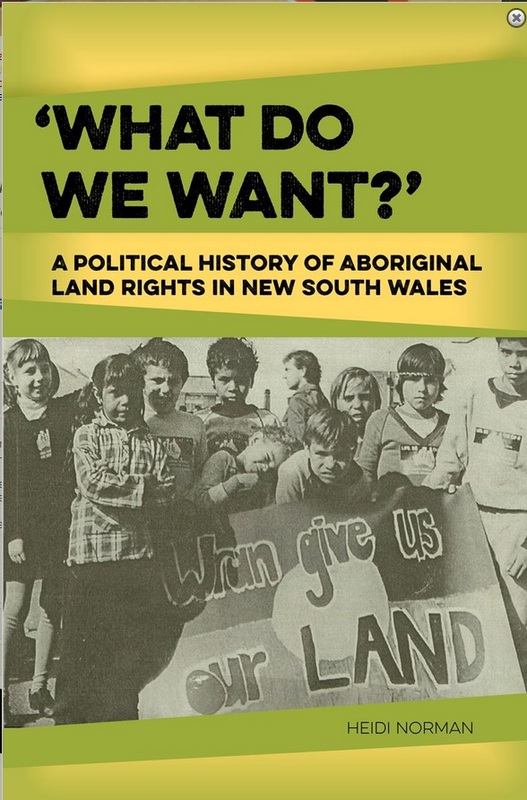 The passage of land rights laws in New South Wales in 1983 saw political intrigue, deception and disappointment as well as unprecedented engagement by Aboriginal citizens and their supporters. ‘What do we want? ’ was the rallying call for these activists. Heidi Norman’s insightful book begins in the late 1970s when Aboriginal people, armed with new skills, framed their land rights demands. The 1978 land rights inquiry and the laws that followed brought Aboriginal people – and the state – into new and different relationships of power. These have been the source of ongoing contestation ever since.